Bahrain is your oyster. You’ll likely start your travels of Bahrain in the capital of Manama. Manama means “Sleeping Place” and while it may seem quaint, there is some fascinating places to see and visit. Bahrain has changed a lot in the last decade, and is poised to change even more in the decade to come in competiting with it’s neighbors to be the Next Dubai, or compete for fans of Forumula one. People come to Bahrain to relax and have fun. Many may plan their trip to Bahrain around a race, or football competition. The stadium is huge, and the infrastructure is designed to host a very large crowd. There’s also a lot of international food places that will surprise you that they’ve got. You likely didn’t know some of these places made their way to a place like Bahrain, but that’s also important in understanding the future of Bahrain. Once you think you’ve got it figured out… it will surprise you. There will likely be more struggles in this country in the future, it is a place of change. Manama Souq, known for it’s pearls and gold in the warren of streets behind Bab al-Bahrain. The souq is the place to go for electronics, bargains, spices, sheesha bottles and a other Bahraini essentials. It definitely isn’t just a tourist destination. You’ll see all types of people shopping Most shops in the souq are open from about 09:00 to 13:00 and 16:00 to 21:00 Saturday to Thursday, and after evening prayer on Friday. It’s a great way to people watch and see a great variety of people from the well dressed upper class Bahrainy to the working class folks. May I even entertain the idea that you can see Shiite and Sunni doing business together in the market? The national mosque is open to visitors. 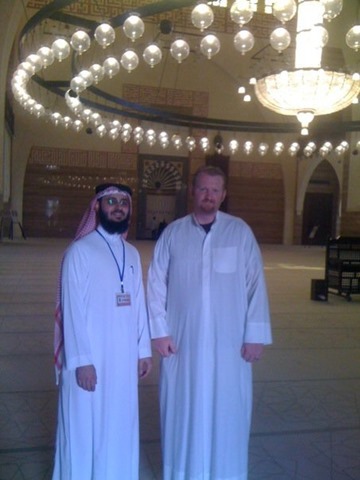 Happy to share information about the life of the Muslim and more of the faith of Islam this grand mosque has very informative guides. The Al-Fatih Mosque is the largest building in the country and is capable of holding up to 7000 worshippers. The mosque was built with marble from Italy, glass from Austria and teak wood from India, carved by local Bahraini, and has some fine examples of interior design. 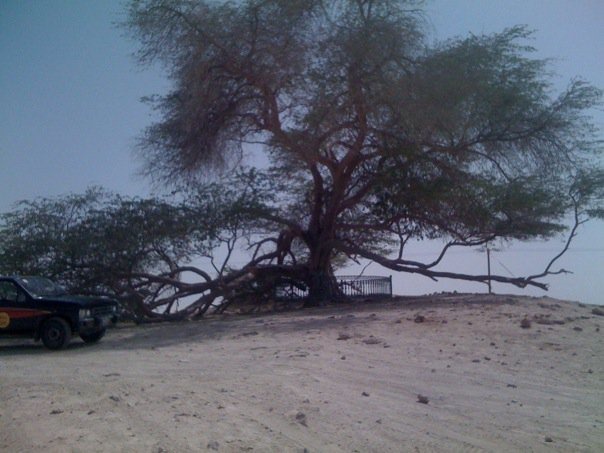 Before and After pictures of the Tree of Life… out in the desert. 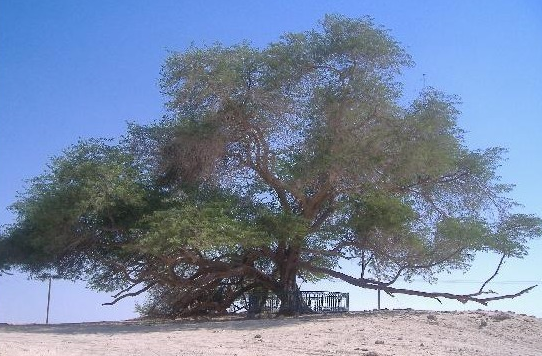 The tree source of water remains mystery, some others believe that it gets nourishing from the underground but no one knows why this tree still surviving. It was quite the trek out of the city to go track down the tree, and I was disappointed to find someone had tried to burn it, and vandalized it. I found a lot of what’s going on in the region in the appearance of the tree and it’s treatment. It seems to represent life. It’s undergone some rough times, and this tree has seen a lot and despite all of that it has continued to persist. While we were out there looking at the tree, we could see a group of tanks doing military exercises. As far as the eye could see, thousands and thousands of mounds dating from far back as 4000 years ago. Not the size of the normal burial plot, but the size of a small house. Over 350,000 ancient burial mounds covering spanning over 1000 years. Some think it’s where Adam and Eve came from. Could be the largest pre-historic ancient burial plot in the world covering many square kilometers. There are so many that even today the locals are debating what to do with it. 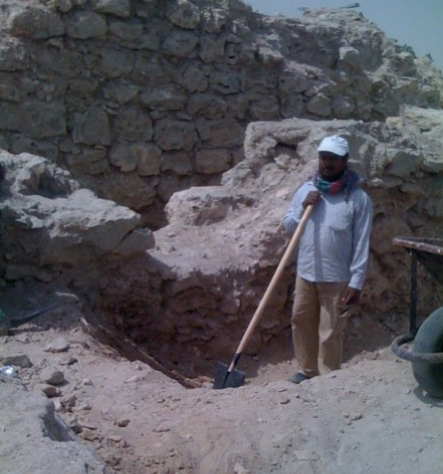 If they excavate they can reuse the land, but some debate there isn’t much in them beyond pots and modest means, but some have copper and bronze weapons, jewelry, pottery that could tell the story of Dilmun civilization, an ancient trading hub that connected Mesopotamia, South Arabia and India, is believed to have inhabited Bahrain during the Bronze Age. While I was there I saw an archeological team digging, finding bones, and pieces of pots, and so on. The national museum has an exhibit on these strange mounds. If you think there are a lot of mounds now, there’s only 1/5 of what use to exist, cleared for housing or already looted. UNESCO has considered adding some of the burial mounds to it’s list. This Museum Bahrain National Museum is the best place to start for an intriguing, well-labelled introduction to the sights of the country. It’s also walking distance to the waterfront. 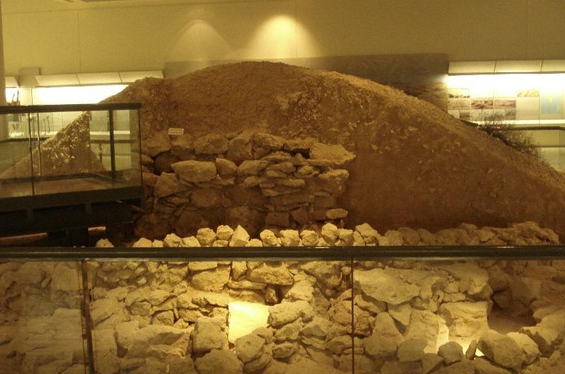 The museum showcases archaeological finds from ancient Dilmun and includes beautiful agate and carnelian beads and earthenware burial jars – used for the body as well as its chattels. It also outlines the local history of pearl fishing including information on the boats the dhow, complete with pearl divers. 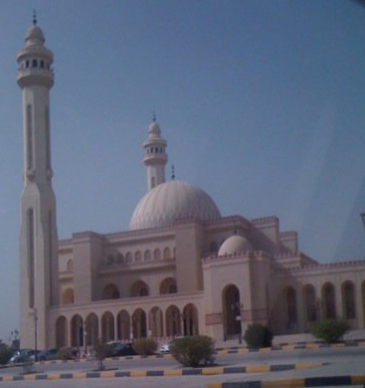 Read more about this and other attractions on Lonely Planet guide to Bahrain. A UNESCO World Heritage, Fort Bahrain is a remnant of a former time when the port was controlled by the Portuguese in the 15th and 16th centuries. This was during the times when they dominated trade routes in the Indian Ocean One of the more important historic buildings on the island, the Bahrain Fort (or Qala’at al-Bahrain in Arabic). 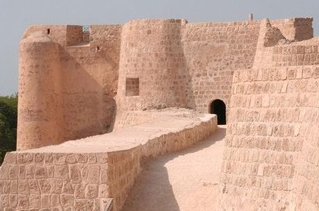 This fort is one of several built in Bahrain and around the Persian Gulf to protect these trade routes. You can climb all over it and there are great views of the water from there. 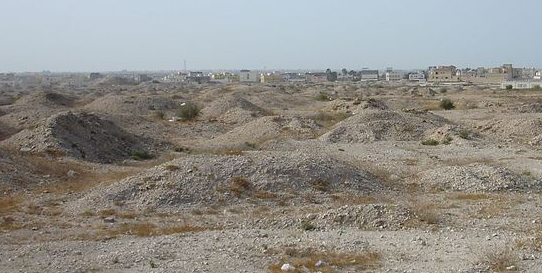 Nearby there are some more ancient ruins (4000 years ago) of the Dilmun capital referred to in Sumerian writings (bronze age) surrounding the fort. There are a couple of other forts as well in Bahrain worth seeing if you liked this one: Arad Fort (near airport) and Riffa Fort (near Riffa). 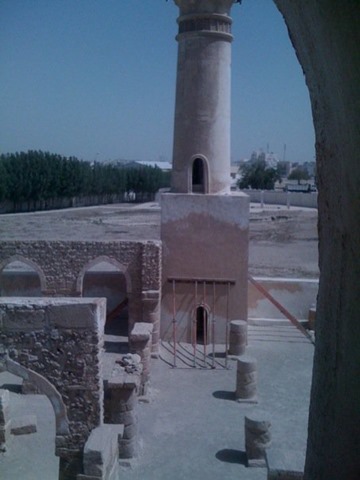 As you explore Bahrain you will continue to find things to see… there are some older sites to see including this ancient Mosque no longer has its roof and a few remaining walls. You can still climb the minaret in the old mosque from 1400’s. Enjoy exploring this fascinating country that isn’t going to stay still… it’s a progressive place and modernizing like crazy. Expect Bahrain to be the place to be with the likes of Doha, and Dubai.